It's Halloween on Monday (Oct 31) - a day most of us now associate with its American incarnation, which involves costume parties, trick-or-treating and pumpkins. But the scarefest originated in a Celtic festival first celebrated some 2,000 years ago. Halloween has its origins in the Celtic festival of Samhain (pronounced sah-ween), which marked the end of the harvest. The Celts believed that the borders of the living and the dead blurred during Samhain, and it was easier to commune with the spirits. During the festival, people would burn crops and animals as sacrifices to the Celtic deities. In mediaeval times, pagan rituals and festivities were often modified by the Catholic church to win coverts to Christianity. About 1,200 years ago, the reigning pope instituted All Saints' Day, a day to honour Christian martyrs and saints, on Nov 1. All Souls' Day, on Nov 2, was later created as a day to honour the dead. Many of the celebrations on All Souls', such as big bonfires, were similar to Samhain traditions. 2. Why is it called Halloween? All Saints' Day is also called All Hallows' Day - "Hallow" meant "holy person" in old English. Oct 31 is thus All Hallows' Eve, and this was also known as Hallowe'en, which became Halloween. 3. Why do people dress up? The practice can be traced back to traditions where people dressed up as spirits and went door to door to ask for food. This is also called "guising". It was also believed that dressing like the dead would protect the living from them. 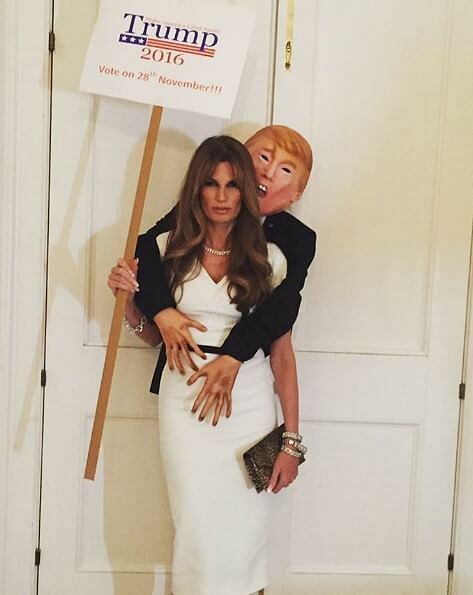 Nowadays, costumes are inspired more by popular culture than ghouls, such as Jemima Khan's "groping" Donald Trump and creepy clowns. Here are some suggestions for costumes with local flavour, including dressing up as Olympic medallist Joseph Schooling. 4. How about the pumpkins? Fire was seen was a way to ward off evil spirits. Bonfires were used by the ancient Celts, and later, their descendents used carved turnips or gourds to contain the fires. Over time, these "lamps" took on the features of the spirits they were meant to keep away. When the tradition crossed the Atlantic to America, migrants substituted turnips with pumpkins, which were more abundant in the New World. At around the same time of the year, many cultures honour the dead with more solemn rituals. In countries with strong Catholic traditions, such as the Philippines, people light candles and visit the graves of deceased relatives.